SB Independent review of Ruse. Robert Eringer, private intelligence contractor and part-time Santa Barbara resident, is no James Bond, not least because he drinks his martinis with gin rather than vodka. And if he’s ever foiled a plot to burgle Fort Knox, he’s not telling. Eringer is the author of Ruse, a tale of his own experiences in intelligence operations that puts Ian Fleming’s protagonist to shame. And Eringer’s wit easily trumps the groan-inducing one-liners Bond is known for. His quick and insightful humor makes Ruse an unexpectedly entertaining read; this story of spies and counterintelligence is funnier than most comic novels. In 1993, Eringer was approached by a publisher in possession of a book proposal from Edward Lee Howard, a notorious CIA/KGB double agent who had defected to Russia in 1985. Unaware of Eringer’s connections to the intelligence community, the publisher wanted Eringer to edit the book and assist in negotiations with the author. Eringer immediately contacted the FBI, suggesting that the book would be the perfect opportunity to lure Howard from his Moscow hideaway and bring him to justice in the United States. 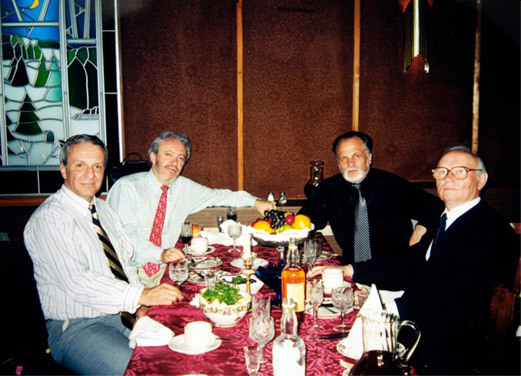 The attempted rendition of Howard turned into a decade of red tape, dummy publishing deals, and meetings in seedy restaurants and hotel lobbies from Washington to Zurich to Moscow. The book is full of tidbits of espionage technique like this one; any budding operative could learn quite a bit just from throw-away comments on procedures that are obviously second nature to Eringer. The best part of the book, however, is the author’s way of recording his constant internal monologue while interspersing it with conversations and events that are going on simultaneously. This observation is prompted by the enthusiasm, shown by the Russian ex-spies in attendance, for Eringer’s tongue-in-cheek suggestion that Russia secretly support and encourage American secession movements, in order to destabilize the U.S. government. While Eringer takes plenty of well-aimed and often hilarious pot-shots at the Russian powers that were during the Cold War, his attention to detail and spot-on sense of humor are directed at United States intelligence organizations as well. 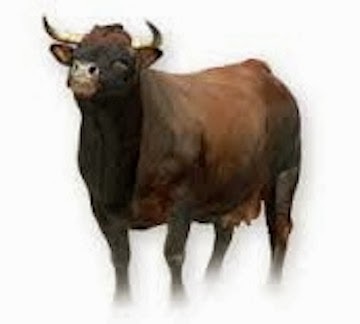 During the first part of the book, as Eringer and his FBI contacts attempt to have Howard’s rendition authorized, the process is slowed to a glacial pace by officials within the FBI. 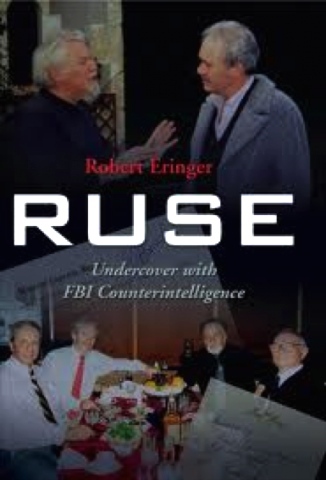 Ruse fully chronicles Eringer’s association with Howard, as well as detailing another FBI operation in which he captured wanted murderer Ira Einhorn, who oddly enough also claims to be the founder of Earth Day. The book is fast-paced, absorbing, and a must-read for anyone with an interest in espionage. Eringer himself is a fascinating character, well worth meeting at his upcoming book-signing.